Choosing irons nowadays can be quite a chore based on how many sets are available each year to the average golfer. What was once a choice of cavity backs for average golfers and blades for good golfers is now cluttered and filled with terms such as Players Cavity Back, Super Game Improvement, and Game Enhancement. While some look at this and say “What is a golfer supposed to do” others have embraced the new technology as a chance for equipment companies to put out irons that are geared towards a specific type of player. It can make finding the perfect set for a golfer much easier and take some of the aggravation and frustration out of the task at hand…Which is finding the perfect set of irons. Headquartered in the suburbs of Chicago, Tour Edge was founded in 1985 by David Glod, a former golf pro at Village Links Golf Club in Glen Ellyn, Illinois. David as a young entrepreneur truly believed there was an opportunity in the golfing industry to provide a high quality product at an affordable price. In his mind there was no reason for the trend in inflating prices that were overcoming the market. David’s goal was to change the consumer’s perception of value and quality in golf clubs. He designed his first club in 1987 and never looked back. Today, the Tour Edge focus continues on the same path; they will not stray from our promise of providing premium quality golf equipment that is affordable. As a top-10 manufacturer in every club category, they continue to focus on product research and development, customer service, and customer satisfaction as the keys to our future growth. 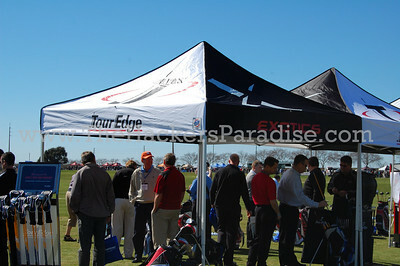 A few years ago Tour Edge launched a new line called Exotics by Tour Edge that would be their “premium” line of clubs. The Exotics forged blade represents the perfect fusion of excitement, power, performance, and love for the game of golf. The design is essential, uncomplicated, and beautiful in the truest sense. Forged from 1025-carbon steel, the blade’s soft forms are highlighted by dramatic lines and a classic shape. For maximum spin control and a pure feel, the blade’s face is entirely CNC milled to supply the largest grooves and face-roughness allowed by the USGA. The milled face and head not only deliver unprecedented spin control, they deliver a strikingly superior feel never before attained from a forged iron. The Exotics’ milled, muscle-cavity lowers the center of gravity so shots not only feel incredible, they fly higher and land softer. 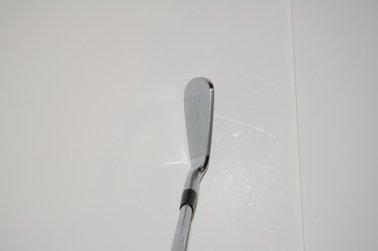 This ideal weighting puts all the control back in your hands and gives you the confidence to play your very best. Back in January at the 2010 PGA Merchandise Show in Orlando, FL, THP got a first look at these new irons during the demo day portion of the event. We were getting a presentation given to us on the new drivers and all I could do was stare at something that I thought was one of the best looking irons I had seen to date. There is a good thing there was no quiz at the end of that presentation, because the only answer I would have had was CNC Forged Limited. Sleek and simple in design these irons offer great lines, simplistic and elegant beauty that you rarely see in a day cluttered with paint fills and logos. The head itself has a very thin top line and the face has been milled and offers a nice circular pattern that was a pleasant surprise. The cavity is a perfect combination of classic with a modern twist of technology. 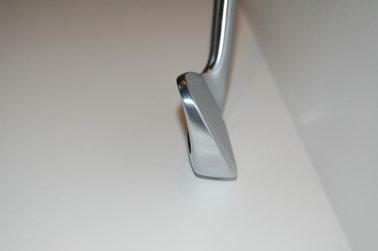 The small cavity has a “weight bar” that adds a little something to the look of the iron. 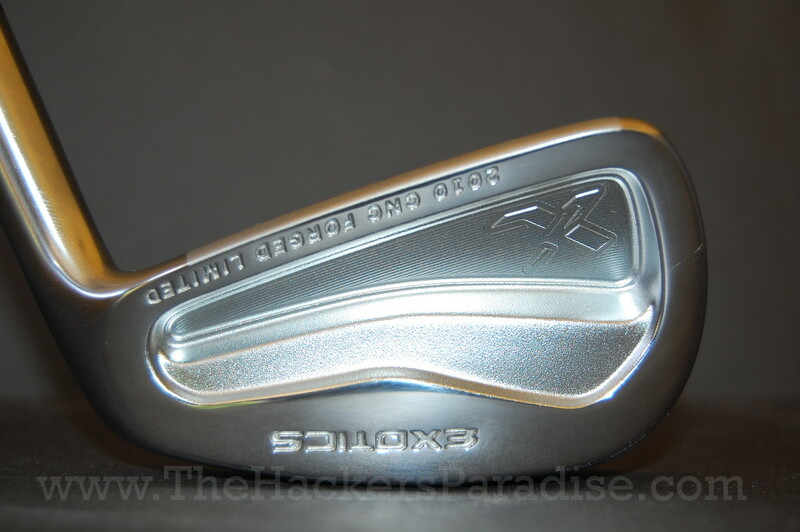 Below that bar, you will find the “X” logo that we are very fond of as well a milled cavity back that adds a touch of class that you just do not see anymore. The club head exudes class and elegance and looks to be headed to a museum or put in a bag somewhere rather than hit on the grass time after time. Despite the museum quality good looks of these irons, they were made for golf and to not put them in play would be a travesty. It is also not what we were asked to do, so off to the range we went and brought 5 other golfers to try out the new Tour Edge Exotics 2010 CNC Forged Limited Irons. All the golfers in the range testing are currently playing “Players Irons” with three of the five playing “blade type” of irons. We asked them to fill out a score card based on Looks and Feel, and then we measured performance based on shot grouping. Looks – 9 out of 10 – Not sure why these did not get a 10 out of 10, in my opinion they deserve it, but we had 4 testers give it a perfect score and one give it 5 out of 10. 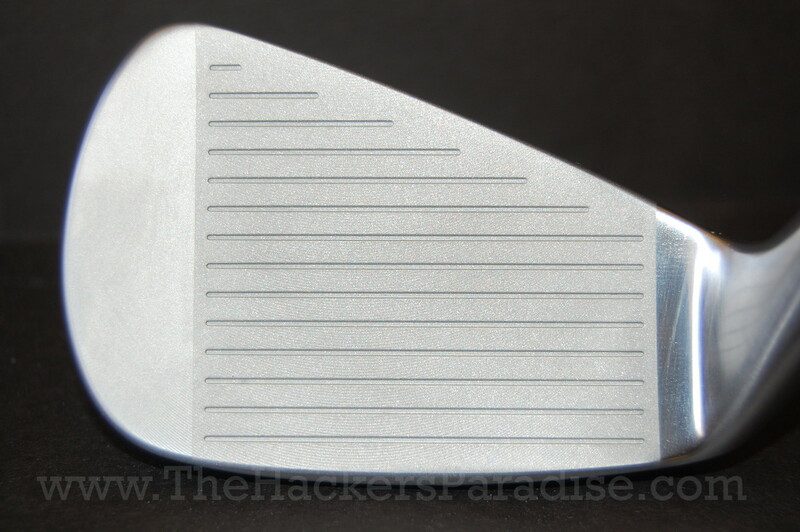 Almost all of the testers really liked the simple design and lack of paint fill that we have grown to see on everything. Feel – 9 out of 10 – While this attribute is purely subjective, watching players look at each other after they hit each ball and see a smile creep on their face was something new to us. One by one each golfer raved about the soft and buttery feel that they were seeing at impact. They also spoke about the true feedback they were getting on balls that were not hit in the center. Performance – 5 out of 5 – Performance is measured differently because we measure it based on 1 point for every golfer that has a tighter shot dispersion with these irons compared to their current irons. Shots are hit to 135 and 155 yards and measured for consistency. All five golfers showed a tighter dispersion with the Exotics than their current irons of choice. Even more outstanding was all of the testers had a different ball flight. We saw low, high, fade, and draw in our tests and each one was putting the ball where they wanted. After the testing was completed, a few of the golfers admitted that they had not heard of Exotics before. But they will be on their short list from here on out. Looks – See Above. To me, this line is one of the best looking we have come across in a long time. Feel – The testers on the range described it best. They offer an extremely soft feel, fabulous feedback on all shots including bad misses (I had a few), and a plush, velvety impact when you hit it pure. Forgiveness – I will be the first to say that these are not the most forgiving irons you will come across. But they are really not meant to be either. What stunned us was just how forgiving they were though. Comparing them to a new set of game improvements in this category would be unfair, however comparing them to the latest in players cavity backs showed them to offer a tremendous amount of come back ability, especially when you strike a ball a little high on the club face. The “weight bar” takes over and the ball flight was still penetrating and straight. Performance – During the course of my testing, I was delighted to see that we could move the ball around the course left, right, high, or low. That is to be expected from an iron such as this. The “weight bar” does exactly what it is supposed to do which is lower the center of gravity and offer a ball flight that you can really call your shot with. Partnering this club head with the True Temper Dynamic Gold S300 offered a penetrating flight that was perfect for the player looking for a little more consistency outside of the “high and straight” that many irons are built for nowadays. An iron built for performance with looks that could kill. Sounds more like a James Bond film than a review on golf equipment. 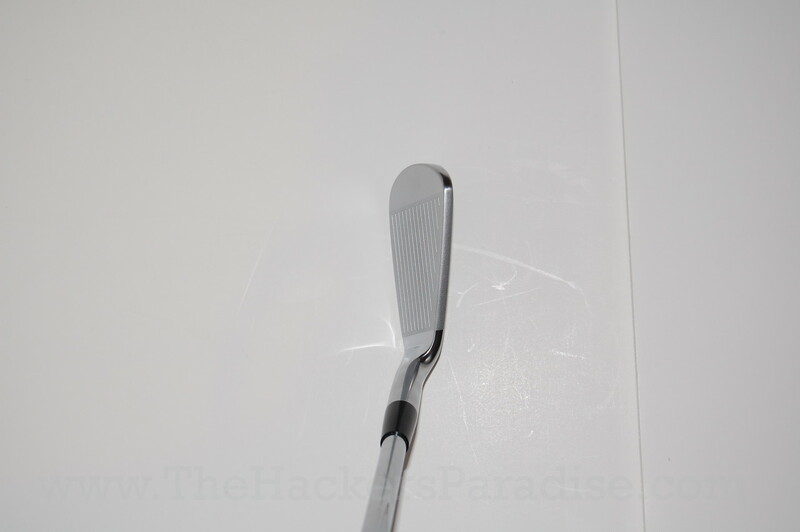 While the Tour Edge Exotics 2010 CNC Forged Limited Irons are not for everybody, they should definitely be looked at and tested by the lower handicap player looking for something special. When you combine amazing looks, buttery soft feel, and true tour level performance into one iron, you know you have something special on your hands and Tour Edge Exotics has done just that. The CNC Forged Limited Irons are some of the best we have tested this year in the Players Irons category and were considered by a few of our testers to be the “purest of the pure”. For more information on these clubs or any other products by Exotics Golf, check out their website at www.exoticsgolf.com. Oh gosh I want to try these so very much. Can we bribe the company to have these at the THP Fall Outing? 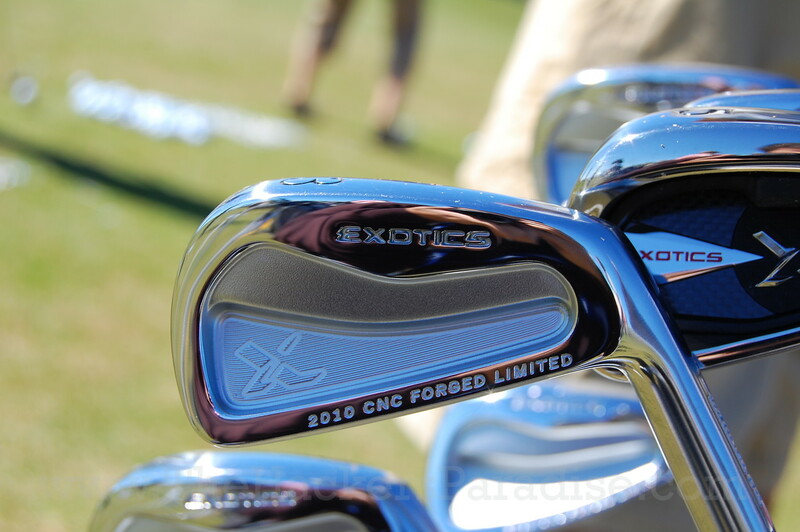 What a beautiful set of irons. I love how these look but these are definitely not for my game! I know of a few golfers who would fall all over themselves for these though! 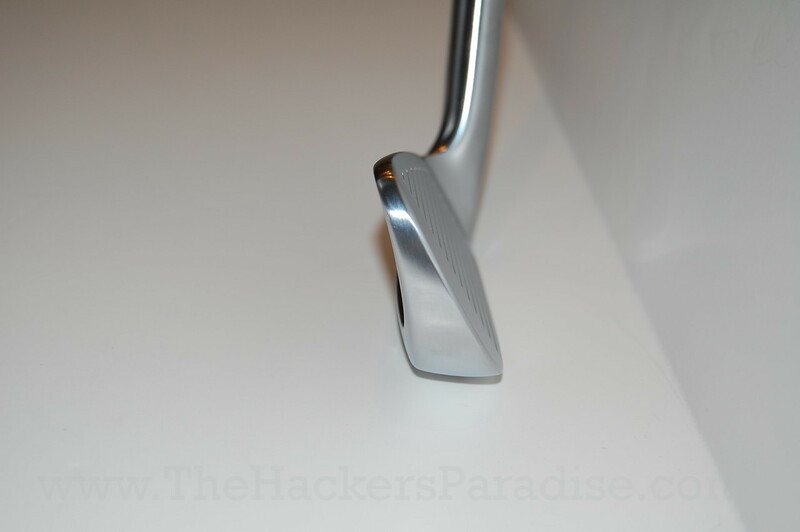 Tour Edge produces some excellent product so I was not shocked by the review. One thing for certain is I’d agree with JB 10 of 10 for appearence very sweet indeed. Very nice review on a beautifull set of irons. Great pictures: These irons are gorgeous! The lack of badges and paint really let the quality show. I just hope to become a good enough player to use these someday. Excellent review. I’d bet a #10 can of porch beef that this company has a hot product on their hands. Still trying to get used to them… But they are beautiful! Main reason that I bought them. Hope my skill level get up to speed soon!